Inoplas staff have made a fantastic effort to raise funds to help to buy care equipment for brave five year old local boy Harrison Dilling who suffers from quadriplegic cerebral palsy. Staff member Jan Clark read about Harrison in the Bournemouth Echo and immediately wanted to help. 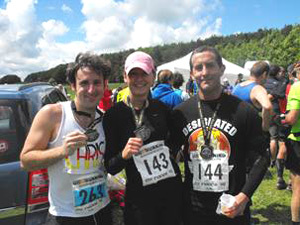 Jan persuaded three of her colleagues, Christian Rodiger, Steve Parker and Julita Piekarska to raise money by running the Ox marathon. 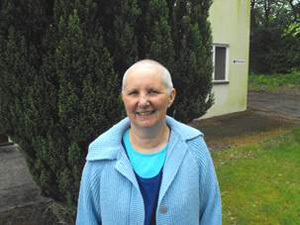 This alone wasn’t enough for Jan who decided to show her support by having her head shaved and by persuading her team leader, Allison Riley to organise a cake sale at Inoplas where staff and family baked, sold (and ate) cakes to grow the fund. Originally the target was £100 but as the amount raised began to grow, we passed £100, £200 and before the cake sale we had hit £450. By the time we had finished the total raised stood at a truly impressive £582. Well done to all the team and good luck to Harrison.